Behind all our great products for builders is the HBXL Building Software team. Each member of the team provides an essential role to help us deliver the product and service to our customers that we strive to provide. All members of the team have been with the company at least two years with the average tenure age of seven years at last estimation - we must be doing something right! Managing Director and founder of HBXL, Adrian was a builder for 25 years and has built 80+ houses and 300 extensions. Fed up with confusing Price Books and lack of software suitable for his size business, he developed his own estimating package. Adrian is an ideas man and has launched EstimatorXpress, PlansXpress, Health & Safety Xpert and ContractsXpert. To contact Adrian email adrian@hbxl.co.uk. Joanna has been with the company since it started and knows the products well. She grew up surrounded by the building industry as her father was a builder and has also renovated 3 properties. 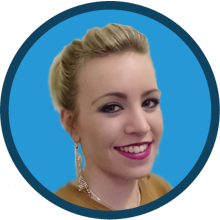 With a degree in marketing she now heads up the Marketing team, researches new software opportunities and makes sure builders know about HBXL! To contact Joanna email marketing@hbxl.co.uk. Steven strives to author software packages that are robust, user-friendly and tackle the everyday bug bears that builders face! Steven has personally been responsible for the launch of Health & Safety Xpert and ContractsXpert. As a hobby he renovates property. To contact Steven email support@hbxl.co.uk. Jim has lots of construction experience having worked on site and now develops software packages alongside Steven. Jim is the main author of PlansXpress and is essential to the updating of EstimatorXpress. Jim also heads up the Support Team, ensuring each and every customer gets the prompt, friendly and professional assistance they deserve. To contact Jim email support@hbxl.co.uk. Marc is New Business Team Manager at HBXL and manages our team of Software Sales Consultants. He is motivated to ensure the team are trained up on all products and can demonstrate our software skilfully and honestly so that builders can evaluate the product's suitability for their business in a no pressure environment. To contact Marc email sales@hbxl.co.uk. Camilla is responsible for communicating the genuine business benefit that the HBXL Building Software range brings UK building firms. Whether its demonstration days, exhibitions, adverts or webinars, Camilla is responsible for setting them up! She also manages the feedback we receive from customers and keeps our testimonials and case studies up to date on the website so you can check out what existing users really think. To contact Camilla email marketing@hbxl.co.uk. Matthew is our gregarious Software Sales Team Leader who aims to transform builders and developers lives by matching their business with the perfect software product. As Business "Happiness" Account Manager, Shannyn is here to ensure customer happiness. 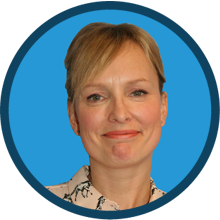 She makes sure all our builder and developer users are getting on well with their software from the moment of purchase. If you need to know anything about how you can get the most out of your software, training options or keeping your software up-to-date then she's here to help. To contact Shannyn email happiness@hbxl.co.uk. A relatively recent (if you call two years recent!?) but nonetheless essential part of the Support Heroes is Joe. Joe can't sleep at night unless he is sure that all HBXL users have adjusted well to the supersonic speed of the software. 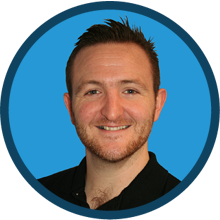 If you need some help on getting fighting fit with the software, Joe can assist you and also put you in touch with the rest of the Support Hero team. Everyone's best man and pub quiz partner. Powered by a constant stream of coffee; Tom will be able to assist you you with your support queries with his limitless knowledge. Tom was a roofer in a former life until 4 years ago he was bitten by radioactive software that transformed him into a Business Support Advisor superhero! Now all of builder-kind can rest assured that he knows his stuff! PC whiz combined with roofing know-how to create one ultimate EstimatorXpress and PlansXpress expert, especially roofing things! Did we mention he used to be a roofer...? Josh is our resident chameleon. His previous form was as part of the Sales Team but he's now evolved and has taken the form of a Business Support Advisor. His patience and technical knowledge is the stuff of legends. No matter how big or small your query is, Josh can help!